When you go to any store or online retailer, there are so many choices in every category, it makes you wonder how any one brand ever gets noticed over another. If you’re like us, you recognize the brands that have consistently provided dependable value time and time again. Those are the brands you are looking for, and those are the brands you choose. But that brand recognition didn’t happen overnight. It may have taken years! Maybe you heard about a brand from a friend, colleague or family member who has used it successfully before. Maybe you were impressed by an ad you saw and now you recognize it in the marketplace. Or maybe, because of its reputation for great customer service, you chose it for the first time. And even with all these compelling influences, the CPG logo, package, colors, and positioning must pop off the shelf or off the page. The brand’s image must clearly distinguish itself from its competition. It must be compelling, and easy to spot. Strong brand recognition is a multifaceted challenge. It’s not a one-time fix. It’s earned every day in a dynamic and ever-changing marketplace. 1. Image. It’s what your customers are looking for. No discussion of strong brand recognition can begin without acknowledging the importance of the physical appearance of your branded product in the marketplace. It is, after all, what will catch the customer’s eye when they first see it and help them find it when they look for it again. It is the graphic and physical image that speaks louder than words to convey your message and distinguish your brand. This is why logos are so important. It may be all that your customer needs to see your brand and say, “That’s the one!” But contrary to what most logo designers would lead you to believe, building brand recognition is a much bigger challenge! It’s not just your logo, it’s the total appearance of your branded product, it’s positioning, and how it’s promoted. Your logo must be placed on a label. Your label must be placed on a package. Your packages must be placed in shipping cartons. And you must have point-of-purchase marketing materials that draw attention to your branded products on the shelf or on display. Each one of these designs must be orchestrated to do the job in a severely restricted trucking, warehouse, or retail environment in order to result in strong brand recognition. The shapes, colors, designs, and images you choose must work in concert with each other and still pop in the various settings in which they appear. Another important part of CPG brand image is the brand name. It must be memorable, easy to pronounce, and appropriate, with the fewest number of syllables possible. Ideally, your brand name should be the same as your logo to multiply the impression in your customer’s memory. The brand name and logo should convey some compelling advantage the buyer attains by using it. 2. Distribution. It’s where your customers can find your brand. When it comes to distribution, we like to say, “You can’t buy it if it isn’t there!” Basically, all the great artwork and design in the world will do nothing to develop strong brand recognition if your customer can’t find your product where they normally shop. Unlike personal branding, consumer brand building is dependent on physical distribution. So achieving, maintaining, and building strong physical distribution is an essential ingredient in strong brand recognition. We would go so far as to say that many mediocre consumer brands with poor logos, labels, and packaging can still have strong brand recognition if they have excellent distribution management. Building strong distribution is an expensive and time-consuming proposition. It’s not just getting a placement for your branded products at some retailers. It’s consistently maintaining your presence and expanding your volume over time. Distribution is a cornerstone of strong brand recognition in the physical consumer product space. It can also be quite a dangerous place if proper distribution management is not executed. So now, the very distribution required to build strong brand recognition is working against you because you can’t service what you sell in new territories. This is why we advise consumer brand builders to start small, learn their lessons and make their mistakes in a small manageable territory. And take notes! We also recommend engaging the services of a cost accountant. Unlike books and general ledger accountant, your cost accountant will factor in the cost of sales in every new territory. In fact, they will advise you when and where to expand so that your footprint is manageable and you can continue to be delivering great customer service and exceeding customer expectations. 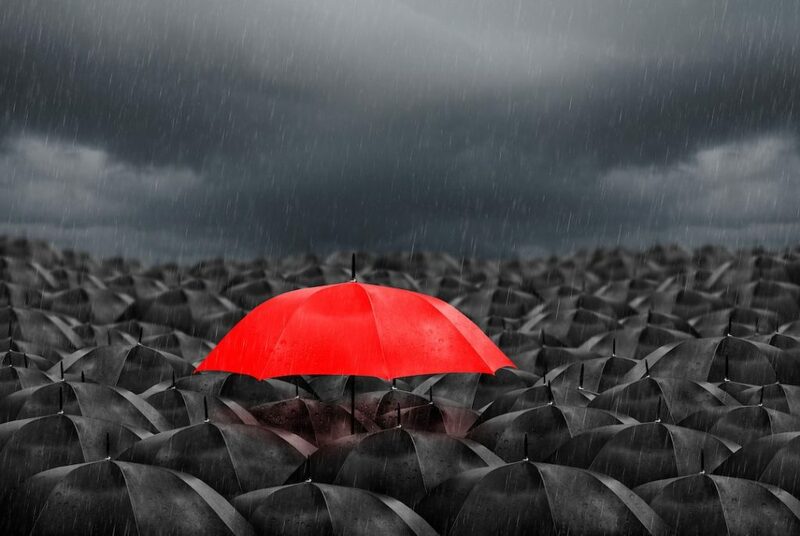 In other words, it’s better to build strong brand recognition in a smaller territory you can manage than to spread yourself so thin that your reputation for customer service suffers and damages your brand. But with physical brands, achieving retail shelf space requires sales and brand building at multiple levels of distribution often overlooked by brand builders who focus solely on the end-user consumer. Every level of distribution has a different motivation for moving your branded products along the supply chain. If just one of those levels doesn’t have their needs met by you, as the branded product producer, they will stop your brand in its tracks, and it will never make it to the retail shelf. The owners of your various distributors have strategic motives. They want to know how carrying your brand will improve their influence with the large buyers in their marketplace. Their sales managers want to know how your representative will sell your branded products for them so they can achieve their numbers – even if their own sales representatives don’t sell your brand. Your distributors’ sales representatives want to know how your representatives are going to sell your branded products for them and help them keep your products on the shelf. 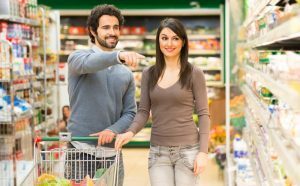 Your retail buyers want to know how fast your product turns at other retailers, and what you will do to achieve that volume in their stores. Their clerks want to know how your representatives will bring in customers and whether or not your rep will sample customers on your products to help sell them. Everyone has a different motive, but none has much to do with your features and benefits. You simply can’t have strong brand recognition without satisfying everybody in the distribution chain first! At this point, some brand builders may say, “Well, I’ll just sell my products online.” And well they may. But if they are looking to build strong brand recognition with physical products, nothing is more effective than physical distribution. It is only through physical distribution that you can achieve quantity purchases, notion and impulse buys, tactile comparison with other products in your category, and a large check from each distributor or retailer rather than one-at-a-time sales. Whether your consumer buys your product or not in the physical retail space, they see your product on a regular basis. This helps build strong brand recognition and familiarity even before they buy, and when they are finally ready, they know right where to get it . 3. Reputation. It’s what your customer expects from your brand. Your customer’s expectations are what compels them to make the purchase in the first place, keeps them coming back, and encourages them to become advocates for your brand. Your reputation is made up of your consumers’ expectations based on what they have seen, heard, or personally experienced with your brand. Also known as the brand promise, reputation is the perception that your customers and prospects have about your brands and your company’s behavior on many levels. Because it’s their perception and not necessarily what you’ve been telling them, they own your brand promise. Strong brand recognition cannot be separated from brand promise. It’s what you and your brand are supposed to do according to the expectations of the marketplace. If you or your brand violate those expectations you are breaking your brand promise. Conversely, when you consistently are exceeding customer expectations with great customer service, strong brand recognition works to your advantage. 4. Endorsements. It’s what others say about your brand. The best form of advertising has always been word-of-mouth. When a friend, relative, or associate recommends your brand, they are putting their own reputation on the line. They do this because sharing it is part of their own discovery process. They know that the person they’re recommending your brand to will be appreciative and they will be thanked for the tip. Because of that, however, if they have a bad customer experience, see a deterioration in quality, or take exception to your company’s business practices, they will be the first to warn those same folks against continuing to buy your brand. Again, their personal reputation is at stake. Quote celebrities endorsing your brand. Your customers and prospects who know the celebrities will transfer their “fame” to your brand which adds a level of authenticity to your claims. Quote satisfied customers who’ve used your branded products. This adds a level of accountability to your claims. High ratings from third-party publications is another effective way to establish credibility. Being the top offering in a category, the best value for the price, or the only brand that addresses a specific consumer need, all help distinguish your brand from the competition. Awards, medals and badges give your consumers the validation they need to make the purchase. They can justify their decision to others by citing these awards. 5. Causes. It’s what you stand for besides your branded product. Selling in retail stores is selling in neighborhoods. Neighborhoods have local worthy causes they champion. When your company supports these causes with goods, services, donations, and marketing support, you are giving the members of that organization a social reason to buy your product. If done right, this type of cause-based marketing can result in strong brand recognition albeit on a local level. But because your shoppers are in the same neighborhoods as the stores that carry your brand, local level brand recognition is just what you need to bring those customers in the door to request and buy your brand. They can buy any brand in your category, but they choose to buy yours not necessarily because it has a better price or more awards, but because you support their cause. And how do you support their cause? For one thing, you have access to a forum that they do not – the retail marketplace. In that forum, you can promote their goals on your products, displays, and signage right there on the shelf or on the floor in the stores where their own community shops. For another, you can help them promote their fundraisers, provide labor, and attend their meetings. This kind of support can create instant brand advocates in a local area, the same local area in which you are selling your branded products. Support for larger causes important to your customers is also an effective way to get on their “good” side. Now more than ever, consumers know that they are voting with their brand choices. People want to make the right choices, not only for value and budget but for health and posterity. Another way to support causes is by promoting a nonprofit’s goals and activities in your company’s business blogs. Ask to contribute supporting articles to their website as well. Basically, go on record as supporting their cause.